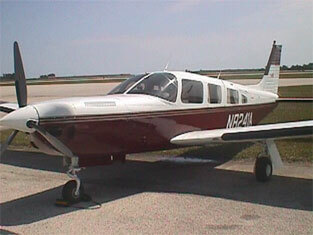 We Specialize in Piper Single Engine Aircraft! Since 1986 Wagner Aviation has been putting its 30 years of experience to work for you. Wagner Aviation is your choice in Clearwater, Florida for quality aircraft maintenance with 35 years experience in general aviation repair, minor and major, annual inspections and custom interiors. We work on all general aviation aircraft, like Piper aircraft, Cessna aircraft, Beech aircraft, and Cirrus aircraft. We maintain a computer based library for general aviation aircraft, including Piper aircraft, Cessna aircraft, Beech aircraft and Cirrus aircraft. Wagner Aviation has a strong reputation in central Florida for personal attention and quality work on general aviation aircraft.